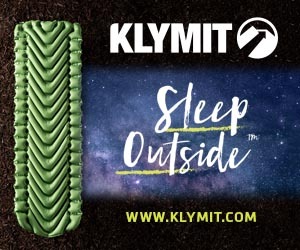 Based in Kaysville, Utah, on the doorstep of the Wasatch Mountains, Klymit opened up shop in 2007 with a focus on inflatable outerwear. 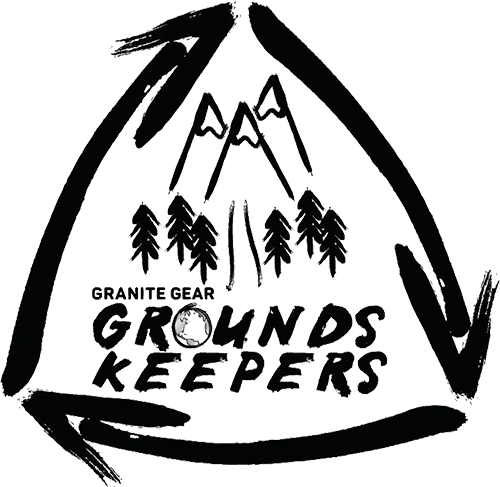 A few years later, they shifted gears to sleeping pads, with a particular interest in finding the perfect balance between lightweight efficiency and on-trail comfort. 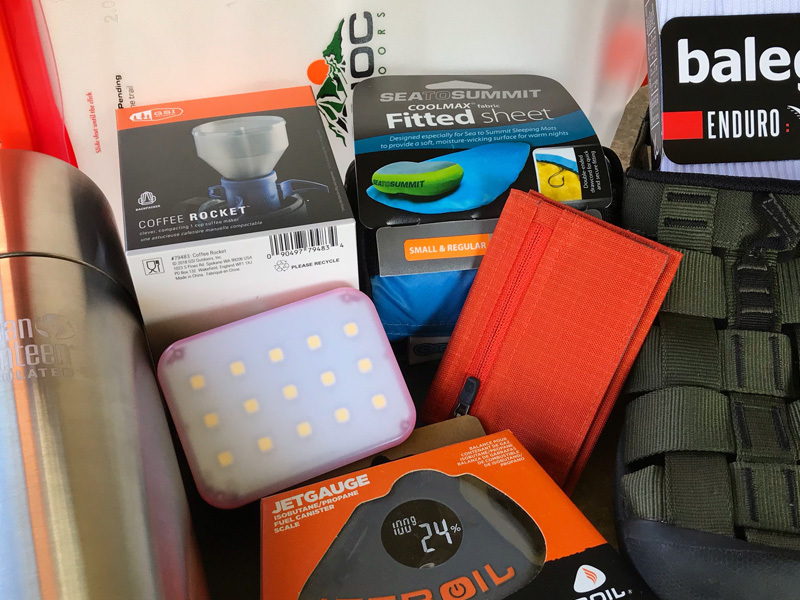 As they dialed in their innovative pad designs, they began expanding their offerings with additional products (including bags, blankets, hammocks and packs), all designed to improve sleeping comfort in the outdoors. 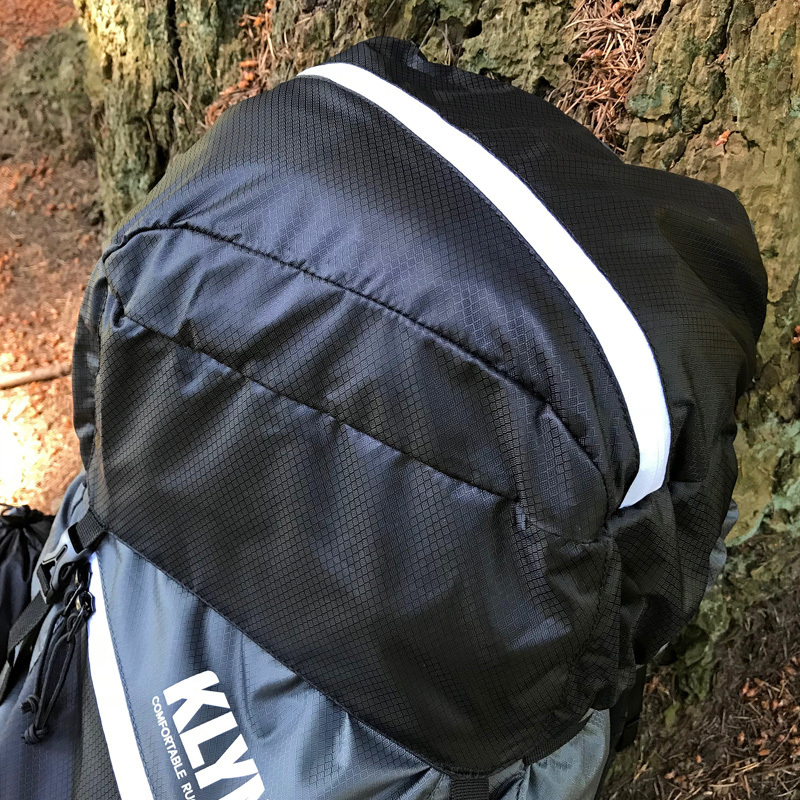 We recently got the opportunity to try out their 2.6-pound Motion 60 ultralight pack with AirFrame harness, a unique feature that continues Klymit’s integration of inflatable elements for providing maximum comfort. Here’s our rundown. 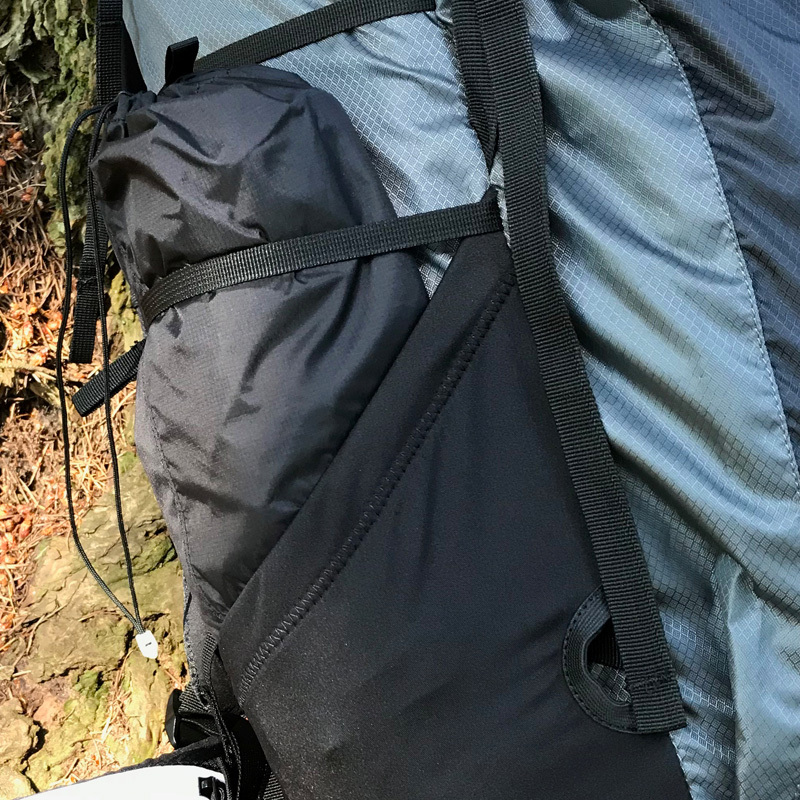 With a generous 60 liters of storage space, and a max capacity of 55 pounds, we had no problem loading up the Motion 60 for an extended time on trail. And with a total of 10 storage areas—yes, 10!—there’s a place for everything. 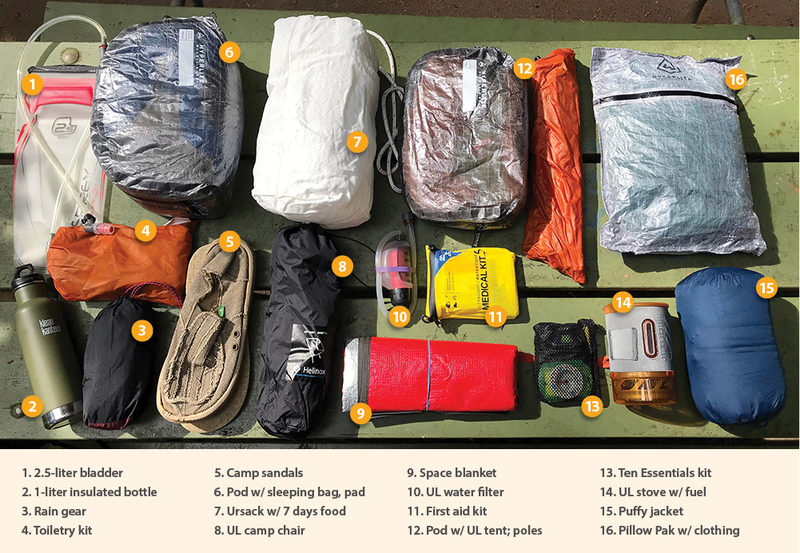 This is especially sweet for pack-organizing geeks like us. The main, top-loading storage compartment (1) is deep, if somewhat narrow. We had no problem loading our normal gear kit in here, with a full Ursack food bag, but found that our load just fit inside. In other, similar-capacity packs we often had room to spare. There’s also a hydration bladder hanger on the inside, but not a sleeve. On the outside is a large, zippered pocket (2) where we stashed rain gear, sandals, tarp and water filter—everything we would want fast access to. On both sides are stretchy, neoprene pockets (3, 4) with cinchable openings. These pockets are angled sharply for easy access without screwing the arm around too much. We used these for our insulated bottle and ultralight chair. These pockets aren’t very deep, so we used the lower compression straps to secure our items and keep them from falling out. 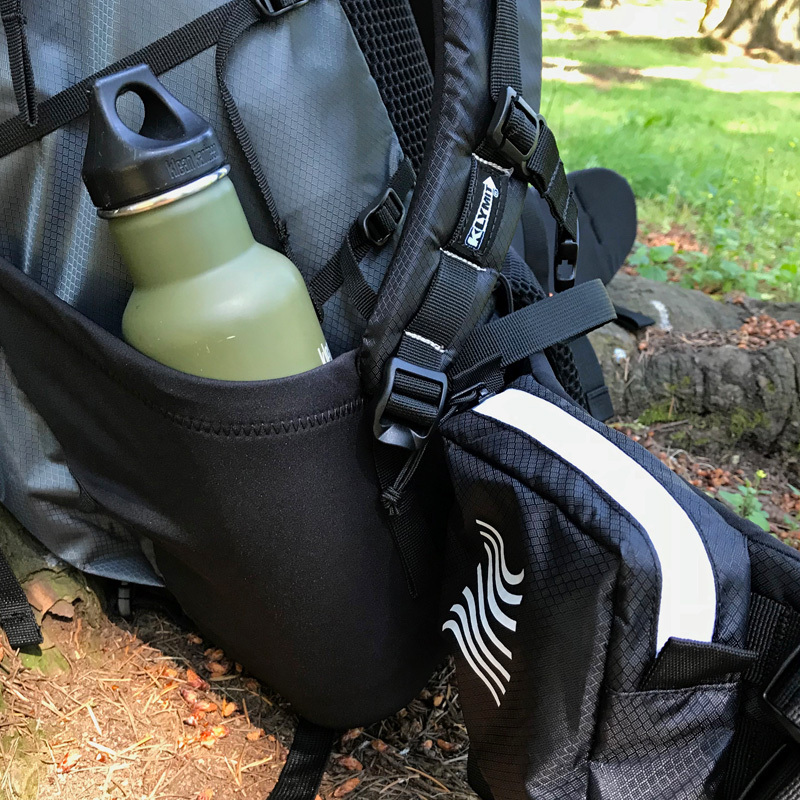 The padded hipbelt has two zippered, weather-sealed pockets (5, 6), which we used for the usual essentials: snacks, hand cleaner, smartphone, etc. The right-side pocket has less capacity, as this is also where the hand pump for the back panel is located (more on that below). On top, the removable lid features a weatherproof zippered compartment (7). This is where we stashed our first-aid kit, tent essentials and toiletry bag. We really like the unique, top-access feature here, which let us get into this section quick and easy when needed. Hidden underneath the lid is another zippered compartment (8), which we found useful for stashing personal items and small electronics. Finally, there are two external storage areas (9, 10) using a pair of compression straps. While we didn’t use these, they’re ideal for attaching large sleeping pads, rolled up tents or hammocks. Once we had the Motion 60 all loaded, we cinched the whole thing down using the eight (!!) side compression straps. This locked everything in nice and snug for getting on the trail. 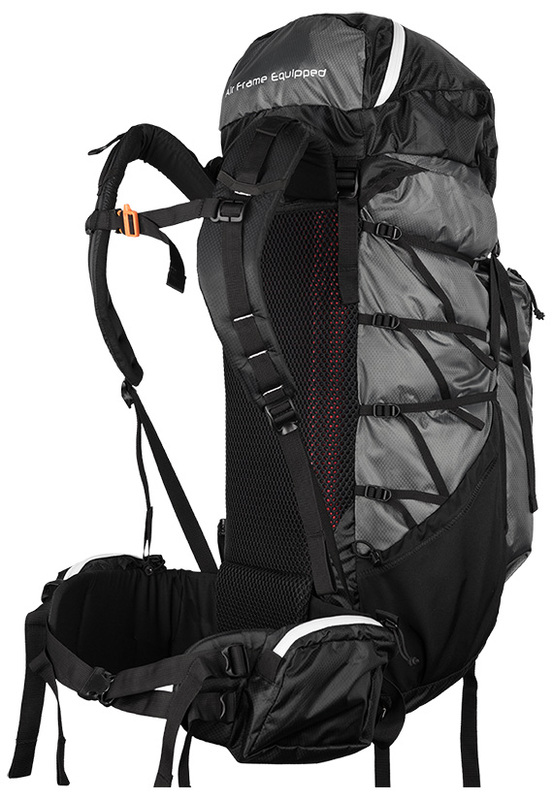 Learn more about the AirFrame Motion 60 backpack, then grab one and hit the trail. Side and hipbelt pockets for quick access to essentials. Top-access lid pocket with weatherproof zipper. Stretchy side pockets for large item storage. Inflatable AirFrame harness for cushy trail comfort. Loaded up and ready for the trail. 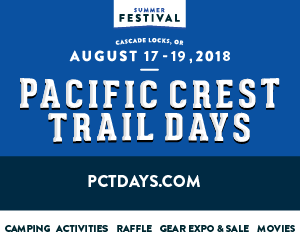 The Motion 60 is loaded with convenience and creature comforts that give it universal appeal for everyone from economical ounce-counters to entry-level backpackers. Once we got everything dialed in, we hit the trail. 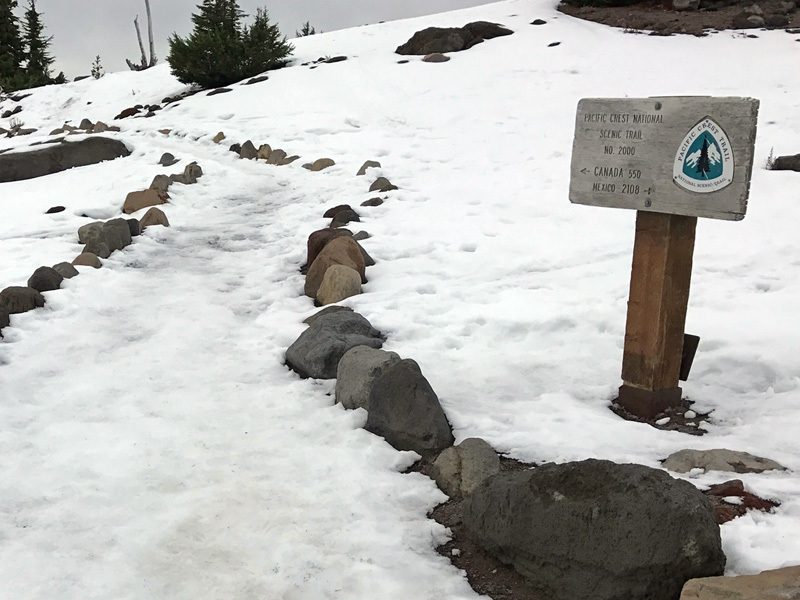 Spring in the Northwest typically means cool and wet, but we did manage a couple warmer than normal days with the Motion 60. The AirFrame harness was nice and cushy on the back, and the lumbar pad and hipbelt took the brunt of the pack’s load in stride. Despite our qualms about the shoulder straps, the thick padding was sufficient to keep things secure and satisfactorily comfortable, with little jostling. As the days warmed up, or our exertion increased, we found the ventilation on the back, even with the mesh panel, was only marginal at best, and the back of our shirt was pretty soaked. By releasing some of the air from the AirFrame harness, we were able to create a little breathing room and cool things off back there. As for its on-trail durability, the Motion 60 is constructed of 150D Silicone Impregnated Nylon. 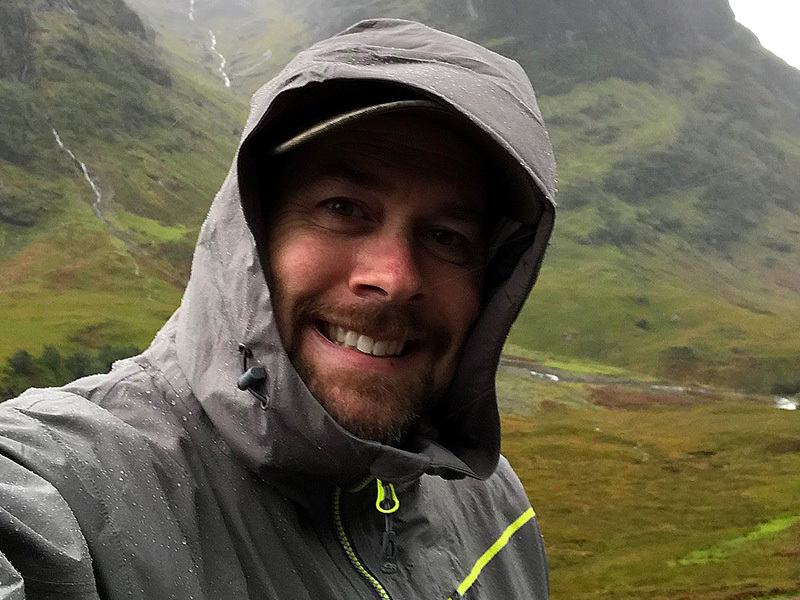 This material is comparable to a standard-weight pack as far as durability goes, and the silicone treatment renders the pack suitably water-repellent, but not completely waterproof. Under light to moderate rain, it held up longer than some other packs we’ve tried. But under persistent or heavy rain, we would definitely be whipping out our rain cover. The bottom of the pack is heavy-duty 210D nylon, which let us drop it on the ground without worry. We messed around with the AirFrame pump and pad a lot to test its functionality and find our own sweet spot. The hand pump worked well thru all our inflating and deflating efforts, and the pad seemed to stay mostly inflated the entire time we hiked with it—maybe just bleeding off a tiny bit during strenuous exertions. But with just a couple pumps, it was back to where we liked it. 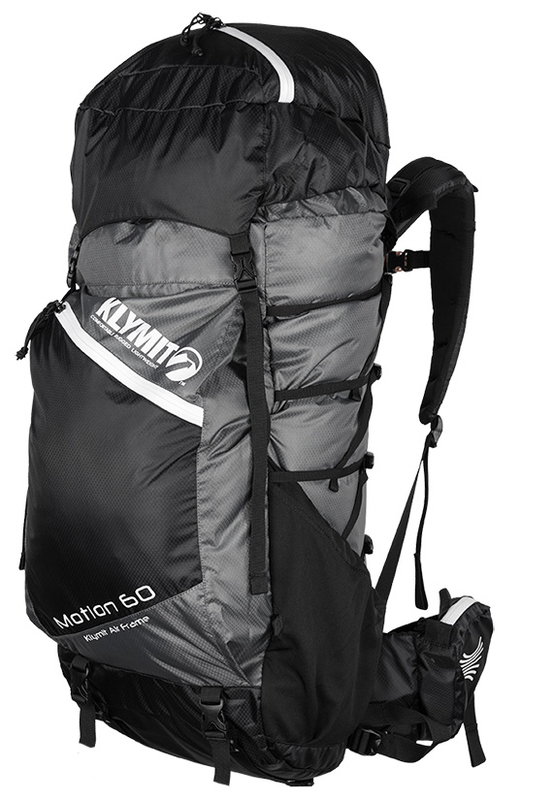 Klymit has done some interesting things with the Motion 60. The amount of storage space and number of compartments for keeping things organized is great, albeit a bit snug for the indicated size. 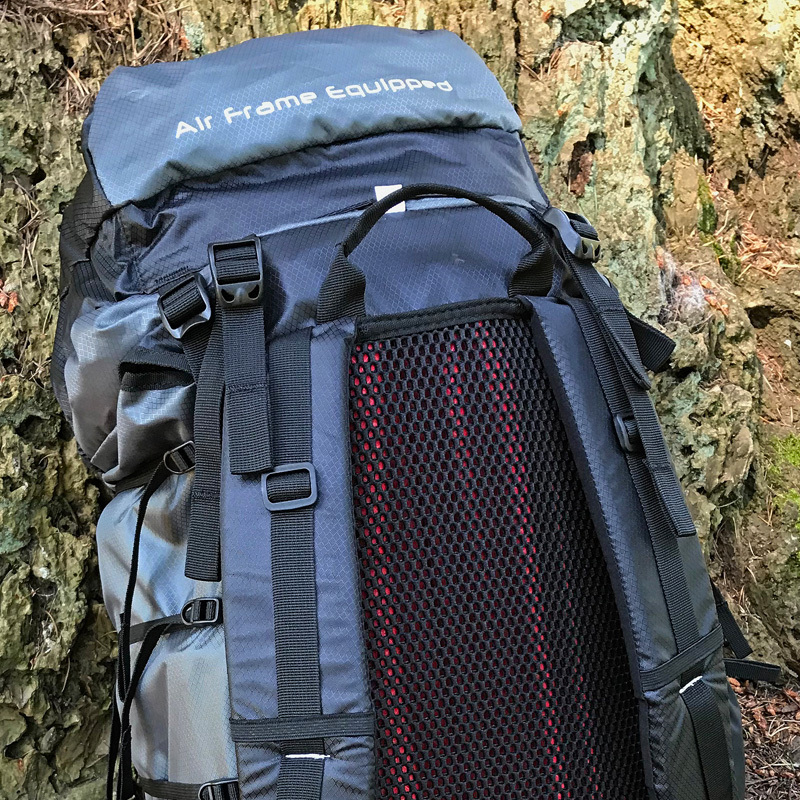 The AirFrame harness offers a unique take on back support and comfort—and it was both supportive and comfortable—we just wish it was a little more ventilated—but we’re not quite sure how that would work. With regards to sizing and fit, the Motion 60 is (currently) only available in one size. With our 6-foot frame, we found it suitably appropriate. 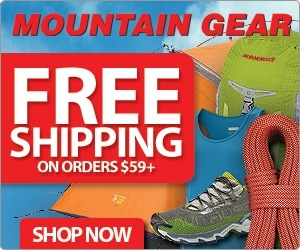 We have read other reviews that indicated hikers of less stature had issues with a proper fit. 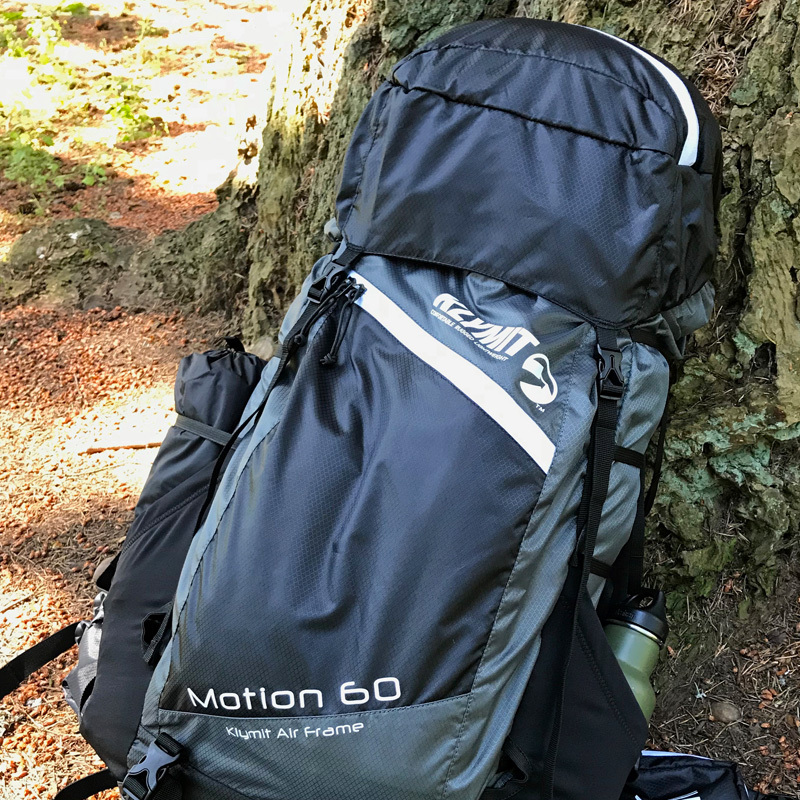 In the end, the Motion 60 is loaded with convenience and creature comforts that give it universal appeal for everyone from economical ounce-counters, to entry-level backpackers, to those just looking for a dependable, lightweight pack for weekend—or weeklong—getaways. PROS: Lots of storage space; dual-compartment lid; air-padded back panel; entry-level price point. CONS: Outdated shoulder straps; no rain cover; one size doesn’t fit all.